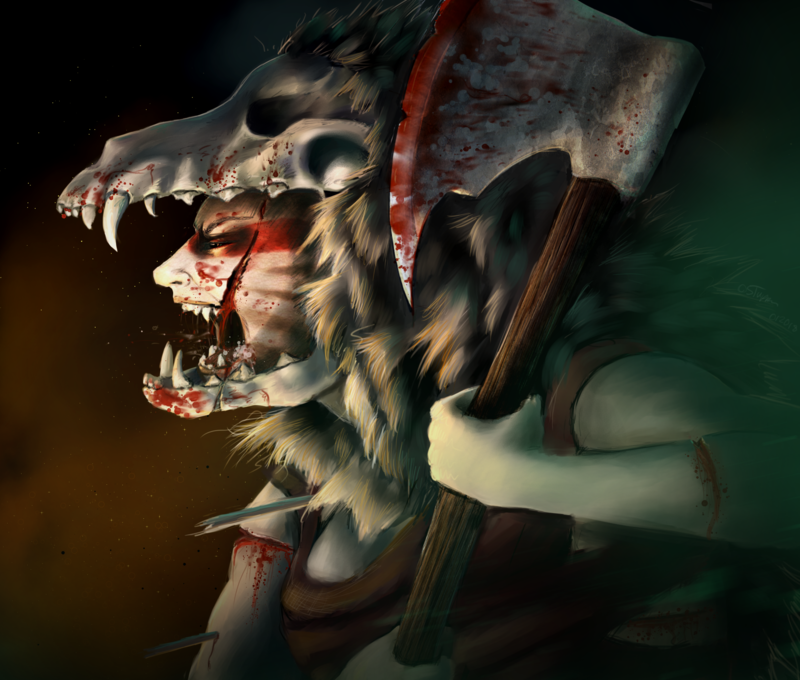 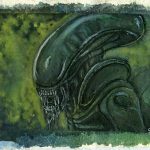 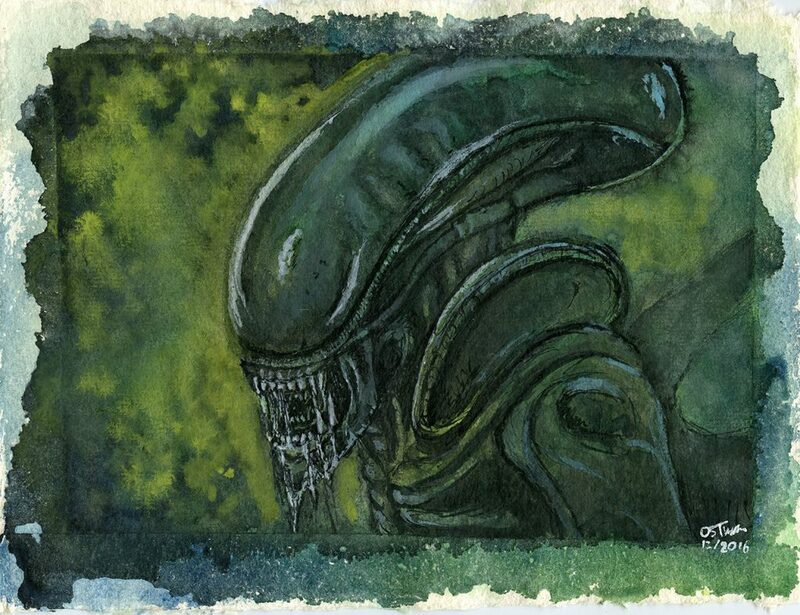 Various traditional paintings and drawings, typically I use acrylic, Indian ink and water colours, but I am capable with most mediums. 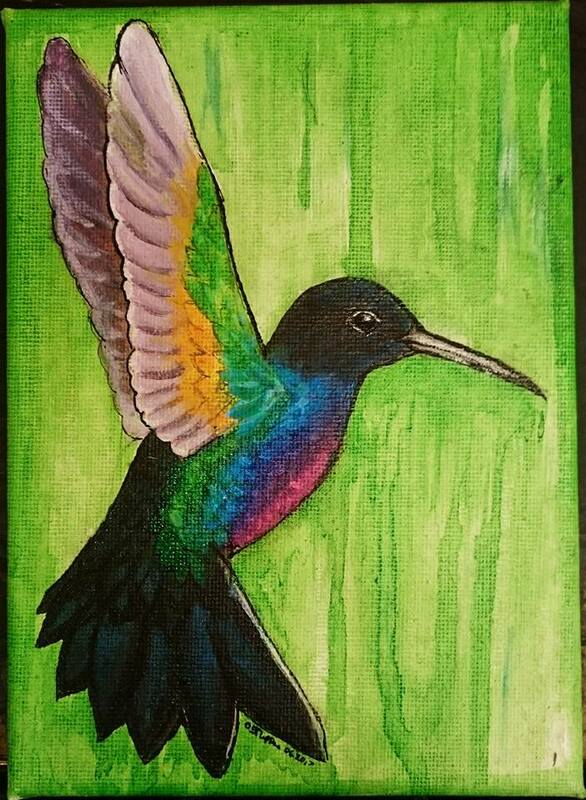 velvet purple coronet hummingbird, in Acrylic paint and Indian ink on canvas. 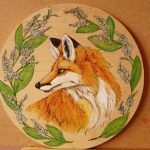 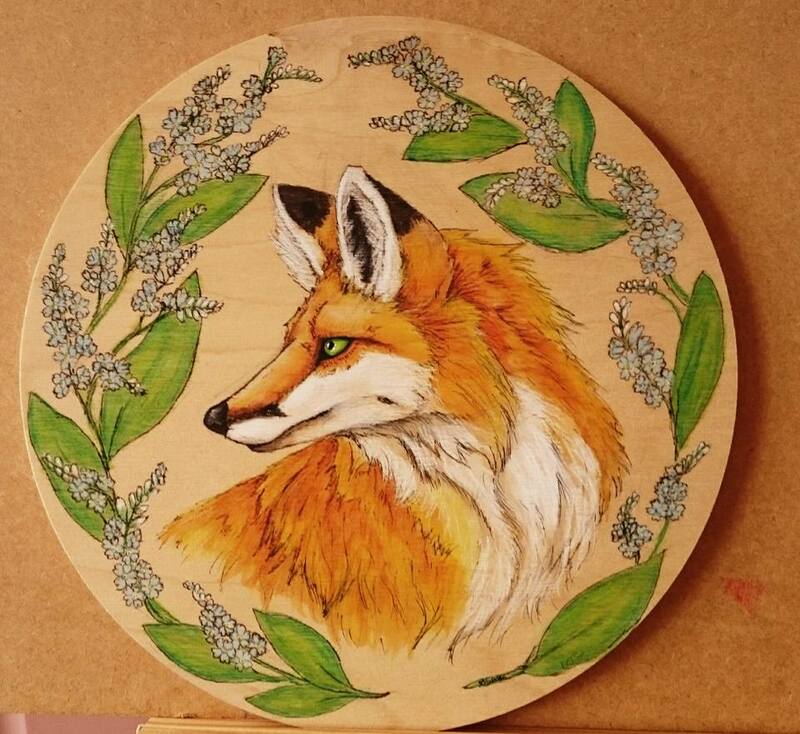 Forget me not fox, in Spectrum Noir markers and Indian ink on wood. 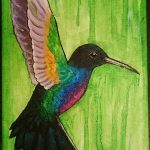 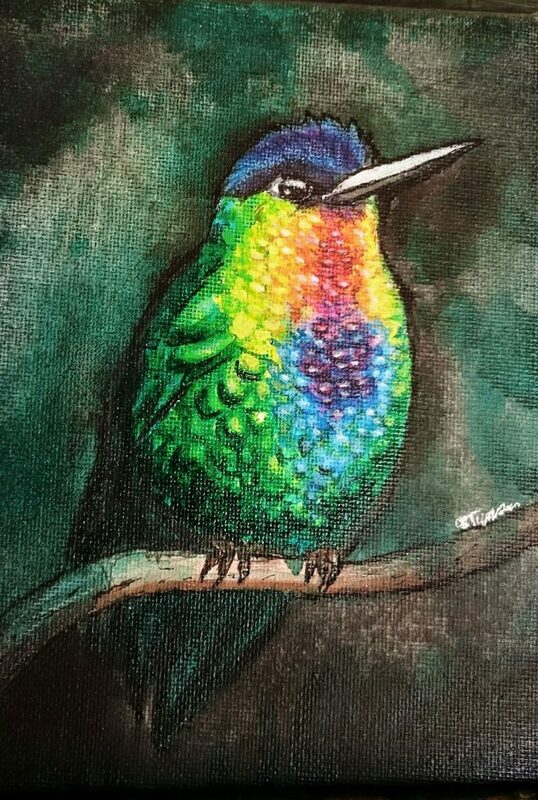 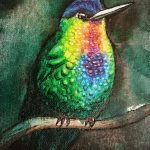 Firey throated hummingbird, in Acrylic paint and Indian ink on canvas. 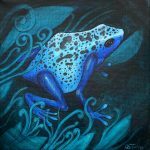 Blue dart frog, in Acrylic paint and Indian ink on canvas. 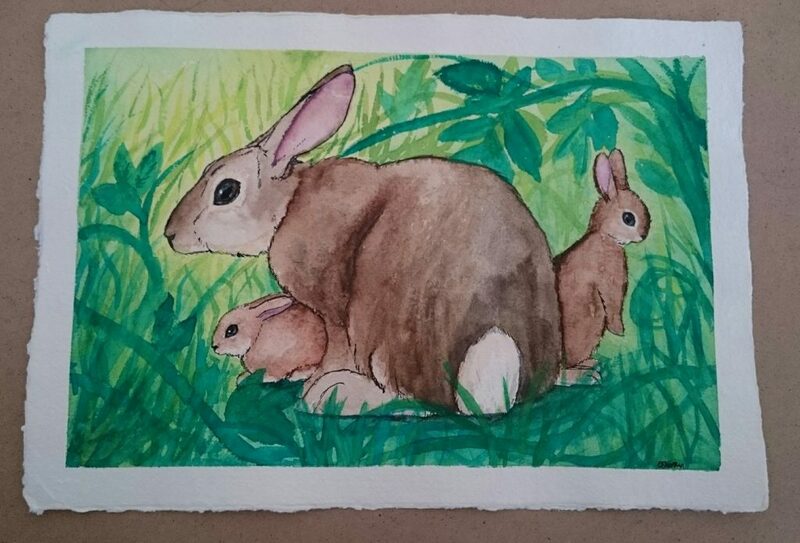 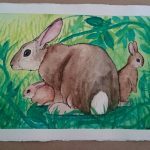 Spring rabbits, Water colour paints and Indian ink on hand made cotton rag paper. 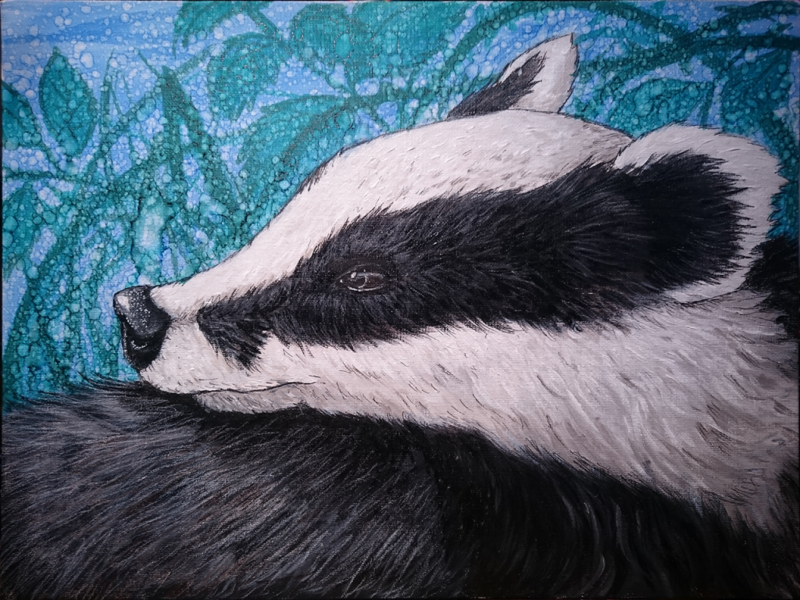 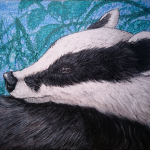 Badger portrait, in Acrylic paint, Indian ink and Prismacolour pencils on canvas. 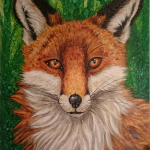 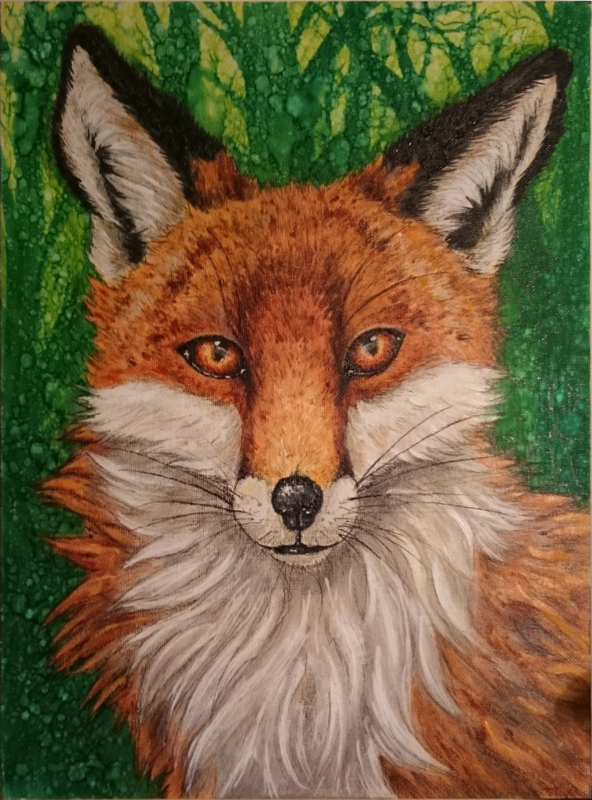 Watching fox, in Acrylic paint, Indian ink and Prismacolour pencils on canvas. 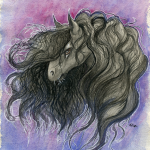 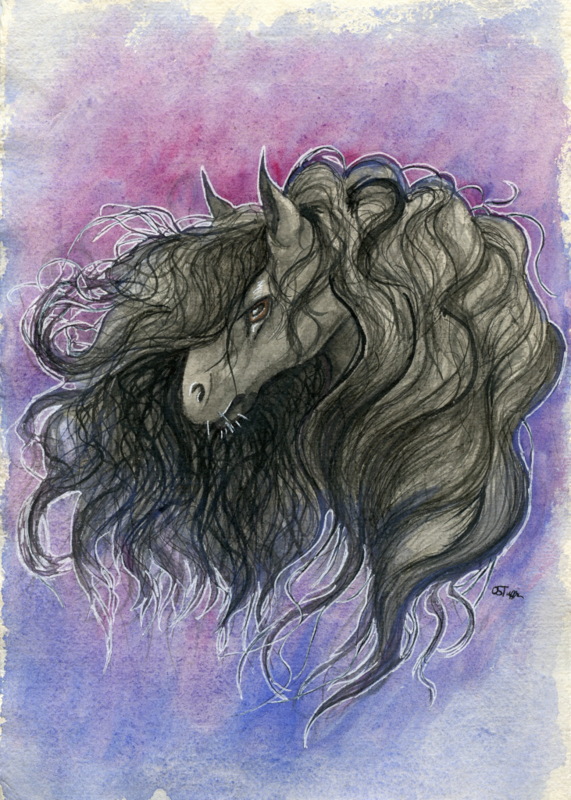 Friesian horse, in Water colour paint and Indian ink on cotton rag paper.